4 UNIT...Investment opportunity with income or relocate your business. Location with good visibility, high traffic and maximum exposure. Have extra income from this practical location with easy access to newly constructed "ORANGE REGIONAL MEDICAL CENTER" hospital and to all major arteries in the area. Full of character and charm, well maintained (new boiler March 2019), 4,474 sq. ft. building with a total of 4 units, each with private access, separate electric and plenty of parking in rear of building. 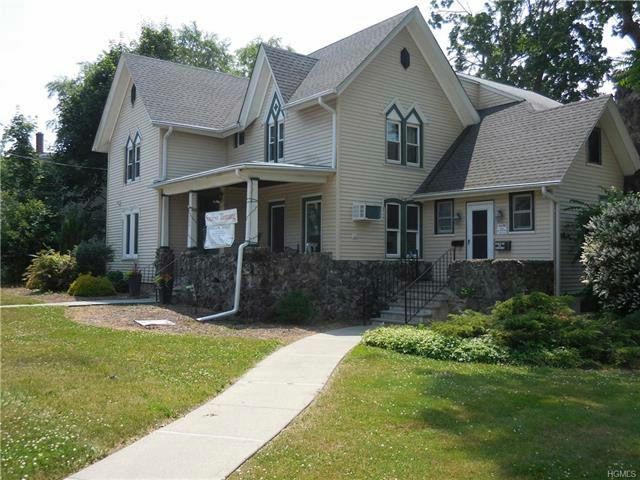 One rental on basement level in rear of building which is handicap accessible, there are two rental units on the first floor in the front of the building, a Day Spa and an accounting firm and one unit on the second floor which is currently vacant. Municipal water and sewer and natural gas for fuel. 85% of roof is 3 years old and 15% is 8 years old. 70% are replacement windows the last 7 years. There are 2 hot water heaters: one gas heater is 6 months old and the electric is 8 years old.